Clayton Shagal gels use high-quality, diverse ingredients to effectively hydrate skin and enhance cell activity on the face as well as high-sensitivity areas such as the neck, lips, and contour of the eyes. 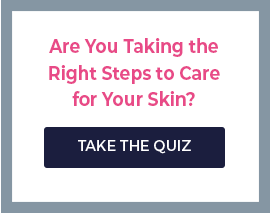 Ideal for all skin types, these collagen and elastin infused skin types treat a variety of skin conditions including wrinkles, rosacea, acne, broken capillaries, and redness. 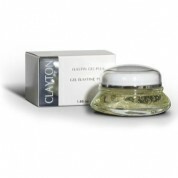 After using Clayton Shagal’s in-depth moisturizers, you’ll notice tighter, firmer, brighter, and more vibrant skin. In addition, while gaining a more attractive skin-appearance, the skin-conditioners and cell-stimulating ingredients are working to reduce wrinkles or prevent their appearance, repair damaged skin areas, and stimulate cell activity, which means improved regeneration of skin cells. The end result is better skin. Whether your skin is young or old, oily or dehydrated, acneic or wrinkles, Clayton Shagal offers a unique product for you. Collagen Gel and Elastin Gel are perfect for young skin, improving the skin’s ability to retain moisture. Similarly, Collagen Gel Plus, Elastin Gel plus, and Hyprocel are uniquely engineers for mature skin, combatting wrinkles for a tighter skin appearance and changing pigmentation to give the skin a vibrant, healthy, and youthful glow. Clayton Shagal’s series of moisturizers is also ideal for more sensitive areas. The Hyprocel Gel is perfect for hard-to-treat areas such as under the eyes, the curve of the neck or around the mouth. After consistent use of the gel, you’ll notice those fine lines and wrinkles starting to disappear as the gel re-calibrates cellular function of elastin and collagen fibrils from within. What that means for you is renewed, healthy skin that is both beautiful to the eye and soft to the touch. No matter your skin type or issue, Clayton Shagal’s series of in-depth moisturizes offers an ideal product for you.